Traveling with a loved one is always fun. 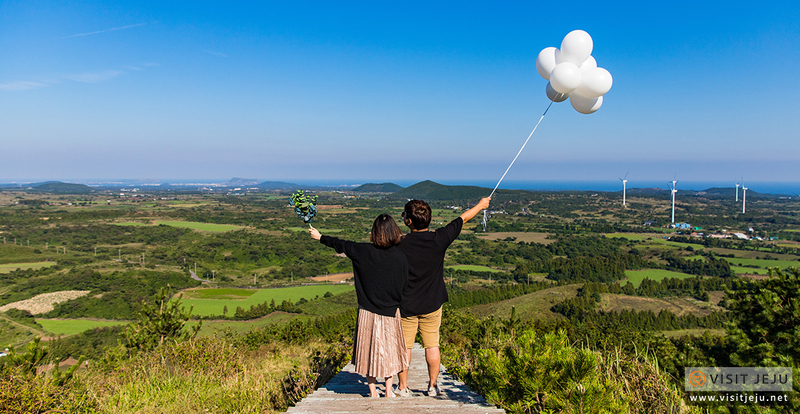 How about capturing your once-in-a-lifetime Jeju journey? From the more romantic cafés, to the heavenly panoramas that seem to carry you to the stars, there are plenty of fairytale-like landscapes. Note: Tripods and selfie sticks are essential! Traveling with a loved one is always fun. 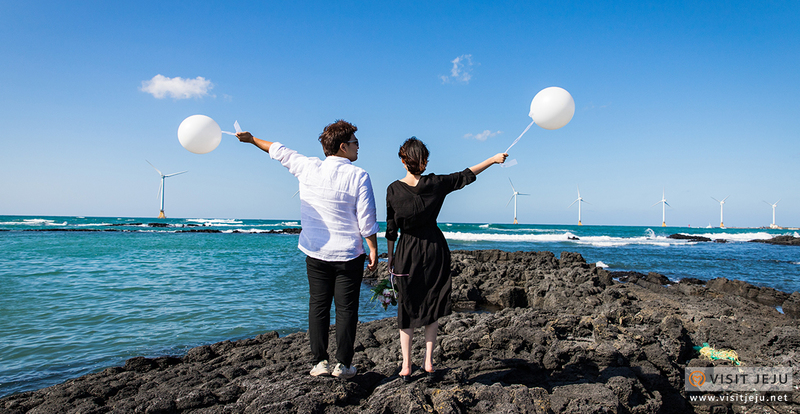 How about taking your own photos of him or her, capturing your once-in-a-lifetime Jeju journey? You don’t need a lot of fancy clothes or accessories. 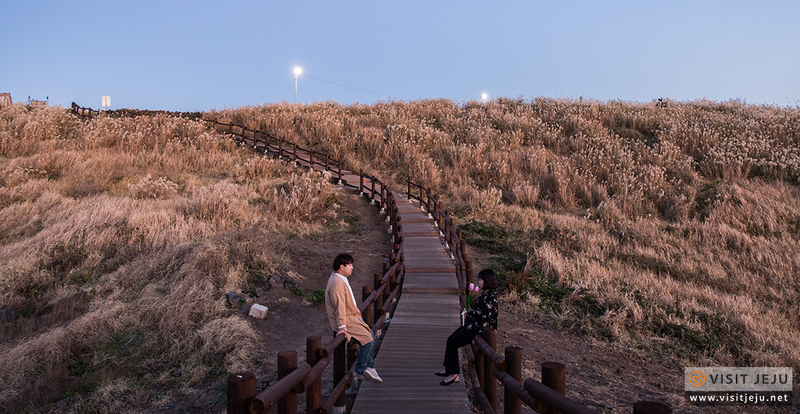 In Jeju, there are many spots where you can take selfie snapshots in the beautiful natural environment. 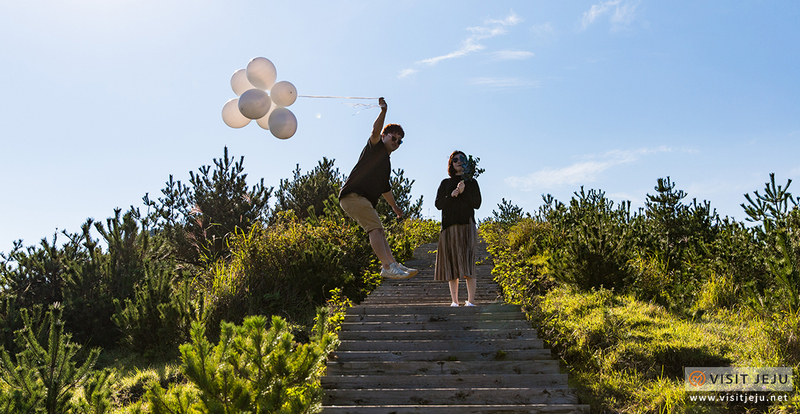 From the more romantic cafés where bliss can be found, to the heavenly panoramas that seem to carry you to the stars, there are plenty of fairytale-like landscapes. Note: Tripods and selfie sticks are essential! 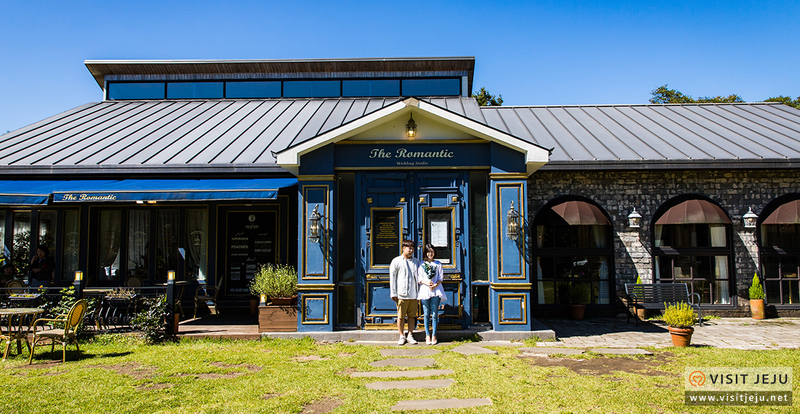 The Romantic is a well-known place for travelers who are looking to take a Jeju coffee in a comfortable setting, both inside and outside the cafe. 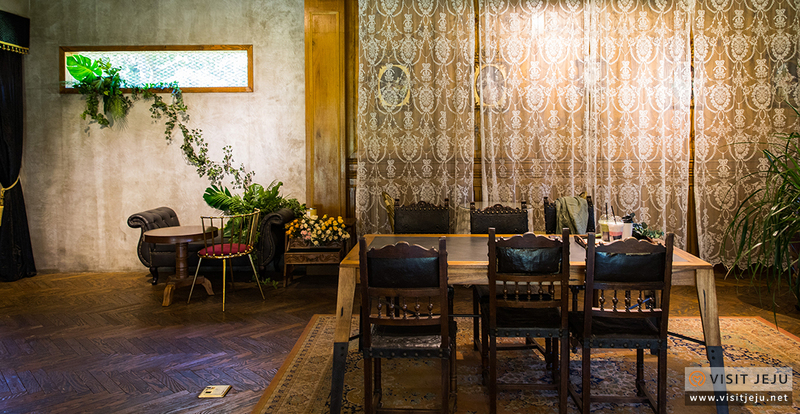 There are a variety of photo zones inside the café, and there are separate buildings with guest rooms for those staying over. When you place an order for your beverage, rather than receiving the usual disc-shaped call bell you are given a charming bouquet. While you wait for your coffee, you can admire and photograph this charming detail. 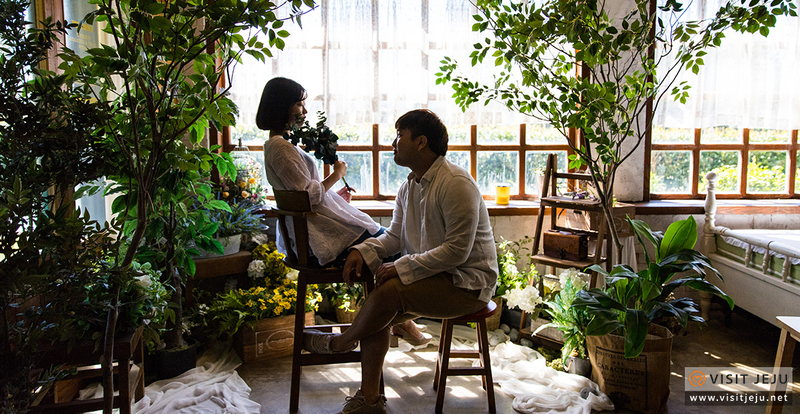 You may notice that the cafe space was originally used as a wedding studio. 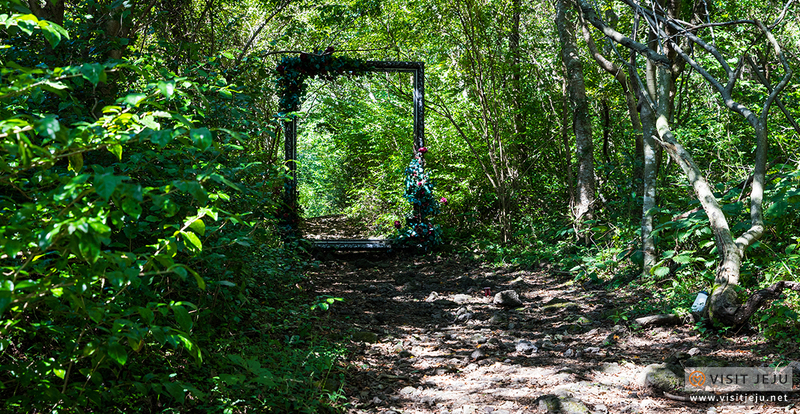 The biggest attraction here is the framed picture window of the forest path behind the cafe. It’s picture perfect! This region is among the best spots for paragliding thanks to its geographical conditions, including many hilly zones that are 100 to 200m above sea level as well as strong winds blowing from the foot of Hallasan Mountain. 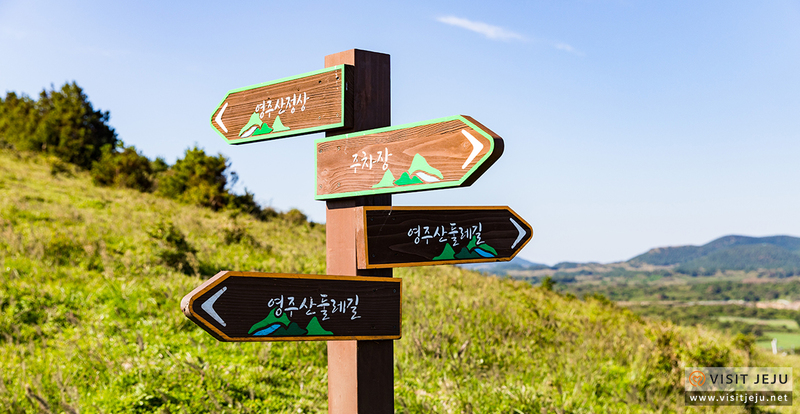 Yeongjusan Mountain, located around Seongeupri, stands out in particular as the best spot. The mountain attracts many paragliding clubs throughout the year because it provides them with the best wind conditions. A series of competitions including the Masters Cup takes place here. 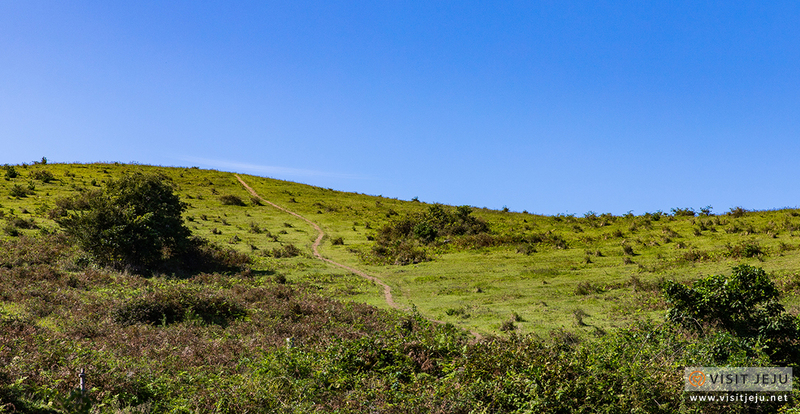 During the summer, in particular, Gunsan Volcanic Cone attracts many paragliding clubs. 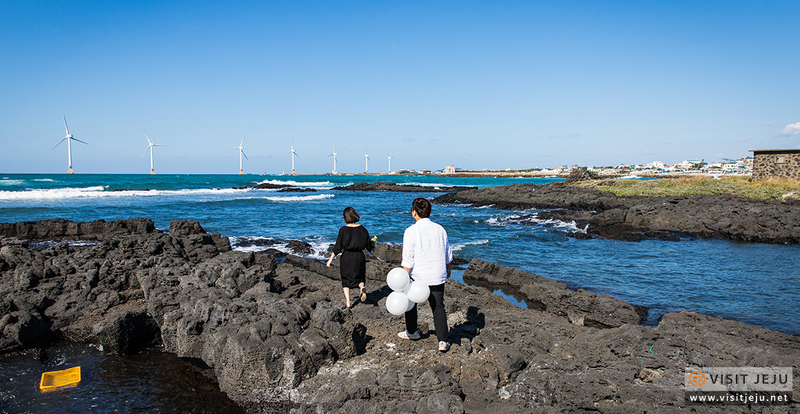 Sinchang Windmill Coastal Road is on the northwest side of Jeju Island and has a distinctive offshore wind farm as a prominent landmark. 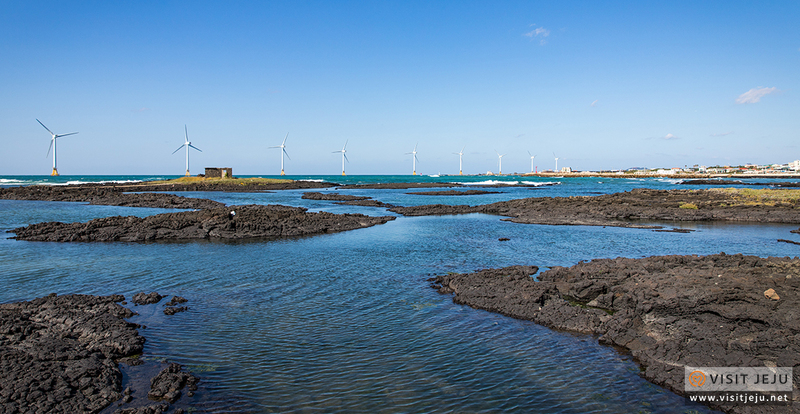 The white windmills and emerald waters along the winding shoreline are a refreshing example of the autumn landscape and an environmentally friendly way to generate electricity. 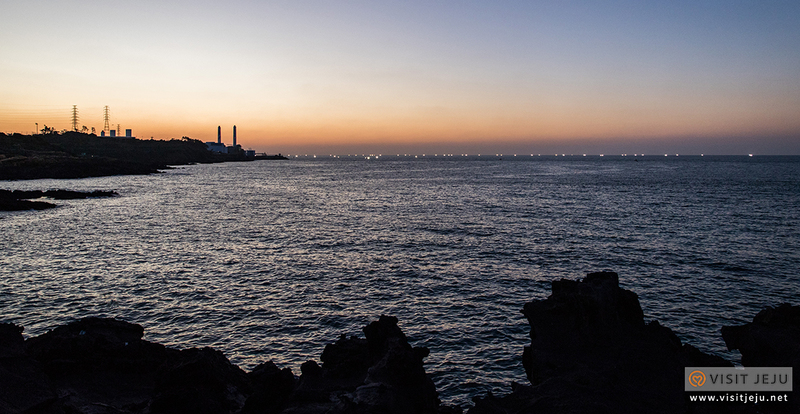 This road is also one of the most beautiful places to view the sunset from Jeju, so be sure to bring your camera! 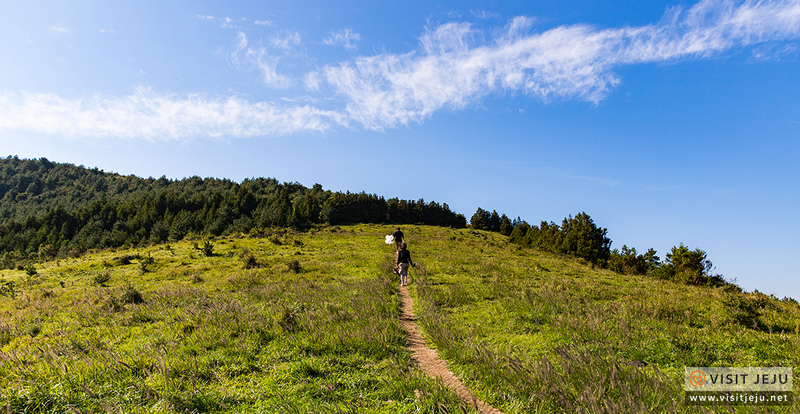 You can also find an Ecological Experience Center walking course on the coastal road. 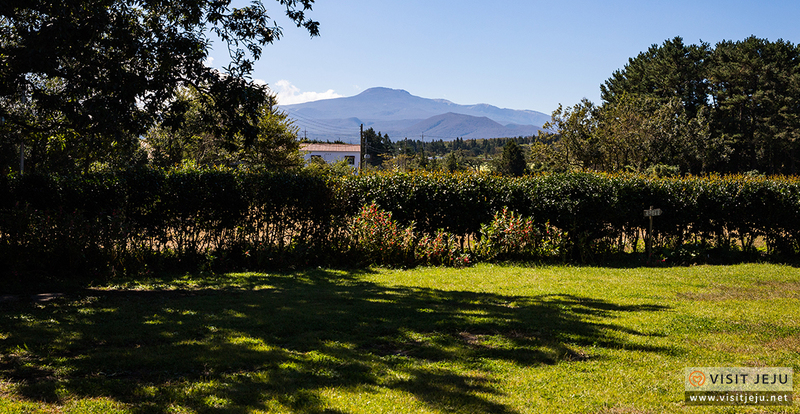 The observation deck built midway along the walking course is a convenient place to rest and enjoy the view. 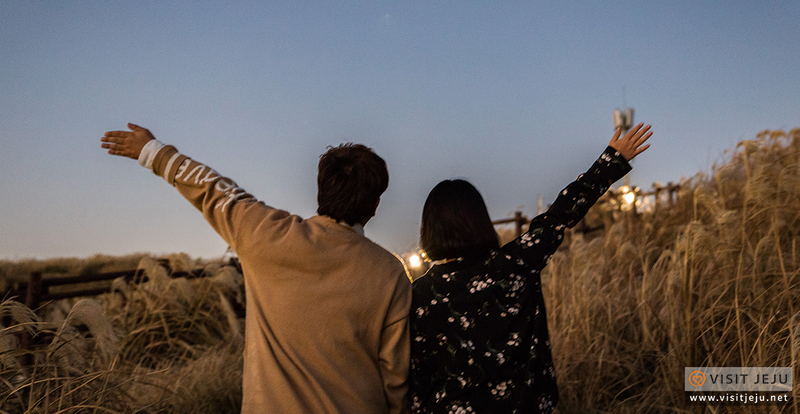 Walk along the Sinchang Windmill Coastal Road and leave with many pleasant memories, and of course a photo or two! 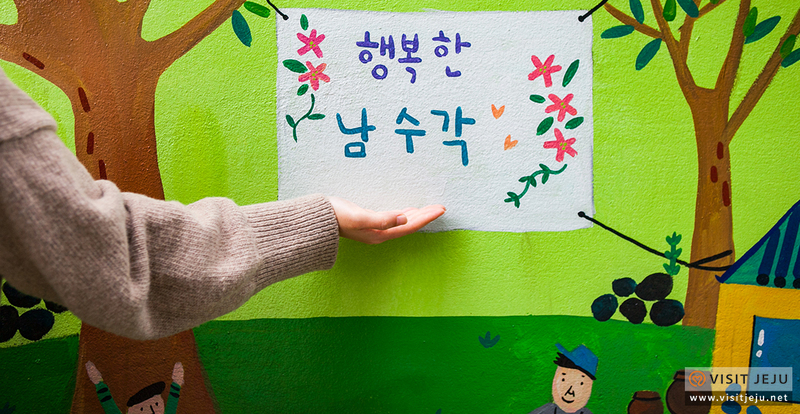 This is an outdoor museum found in a rustic alleyway in Jeju's downtown area. 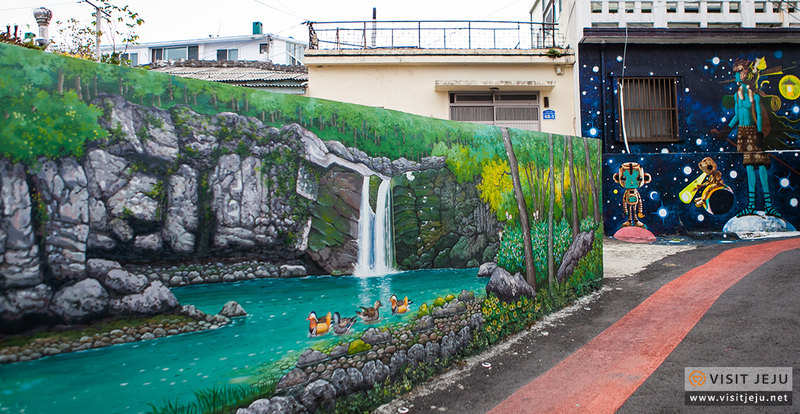 Its murals are close to Jeju International Airport, making it a good place to visit when you first arrive, or when you are ready to depart. Namsugak is a small village street just above the Dongmun Traditional Market, Jeju's largest permanent market. 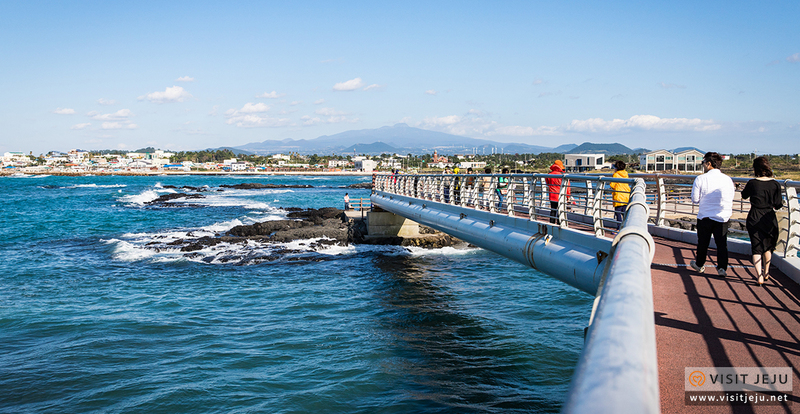 This area of town is great for sightseeing on foot in the genuine atmosphere of old (“Gu”) Jeju City. 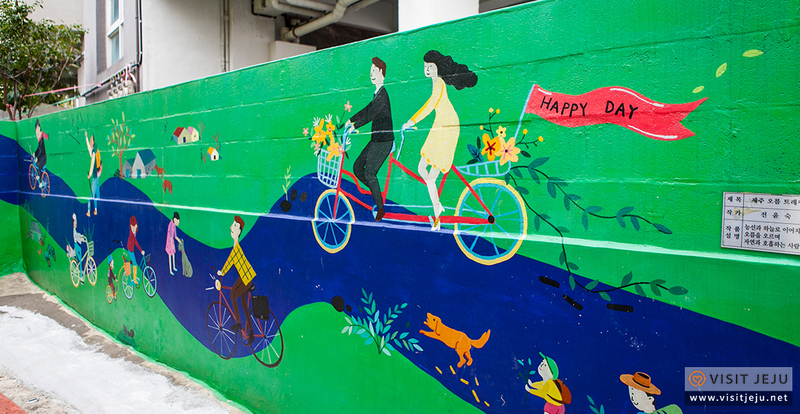 The mural-filled alleyway is about 220-meters in length. 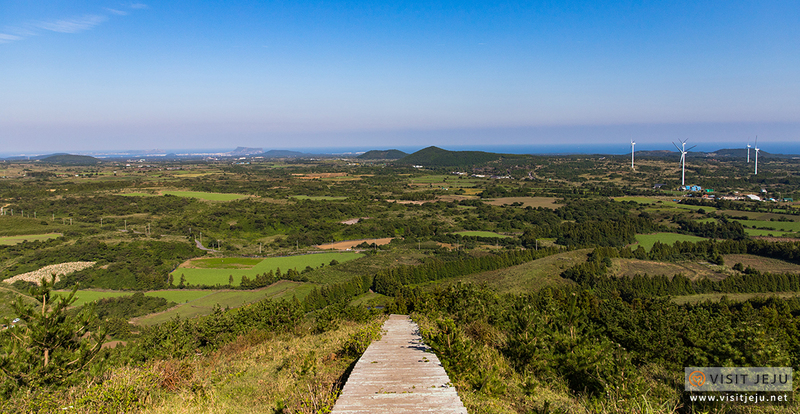 The images are of old Jeju and its scenery. It takes about 30 minutes to examine all the paintings. 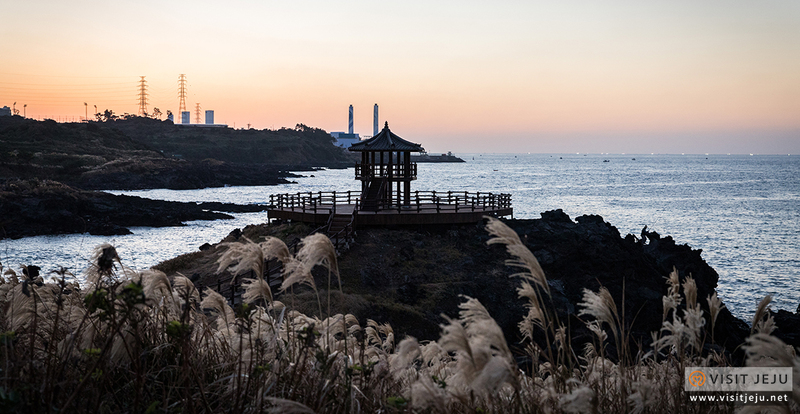 If you want to take pictures of the autumn sun framed by the eastern seas of Jeju, then the place to go is Dakmeoru. 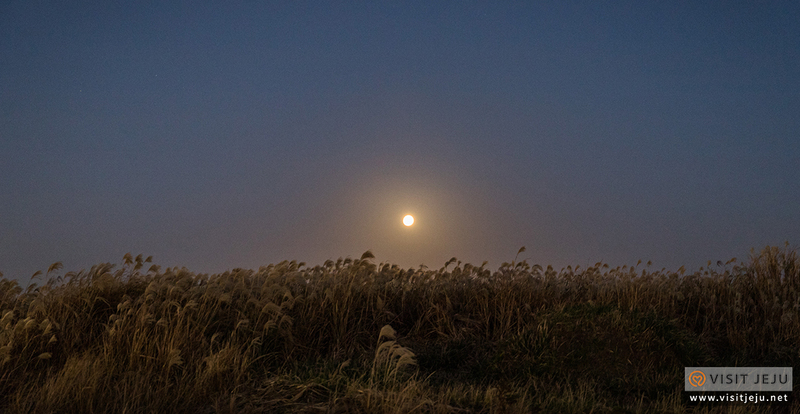 It’s not far from Sinchon-ri Village and there is also a wetland called Namsang-e-mot, public bath place, and other unusual locations. These make walking the wooden deck of Neurigil Coastal Trail all the more special. It is approximately 1.8 km long and takes 30 minutes to complete. The path leading to the coastal pavilion is a beautiful place for photography in autumn. 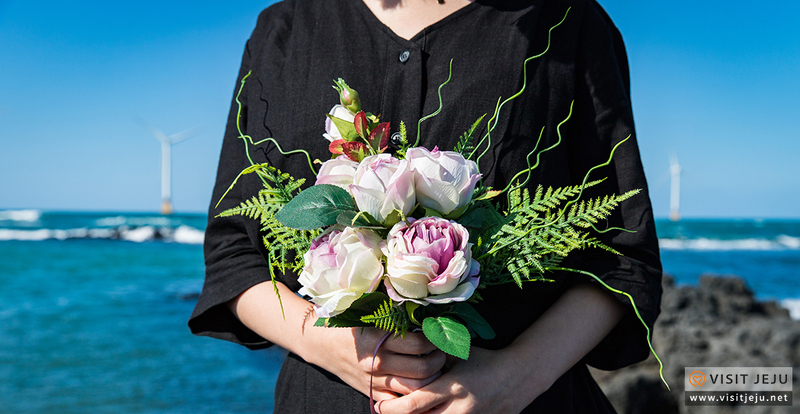 At a glance you can take in the vast ocean, the rolling waves on the rocks, and the waving pampas grass on shore. 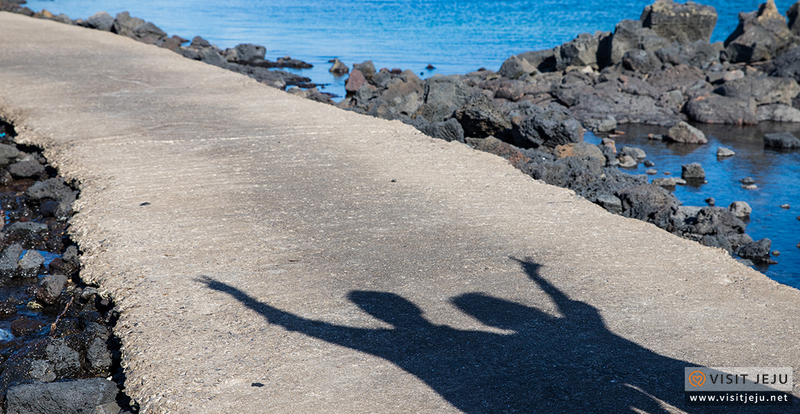 Taking photos and selfies at sunset casts a flattering, “wow”-factor light on your subjects. You’ll need to bring a sturdy tripod or a long selfie stick to take in this beautiful background and sunset glow. ※ The above information was written on 2018-10-26. Please confirm the information prior to your trip. 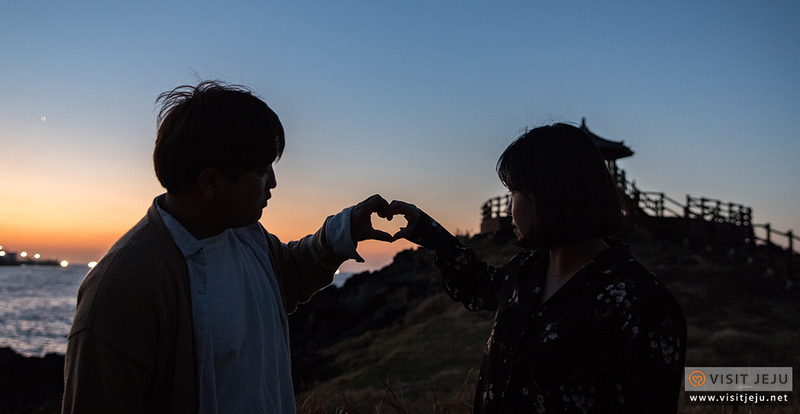 ※ Unauthorized use of the content above (text, photos and videos) is prohibited and subject to copyright by the Jeju Tourism Organization.